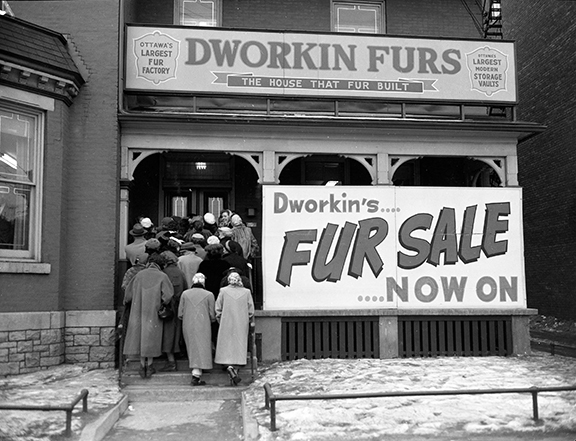 Customers crowd in for Dworkin’s fur sale, February 1954. Image: City of Ottawa Archives CA043229. 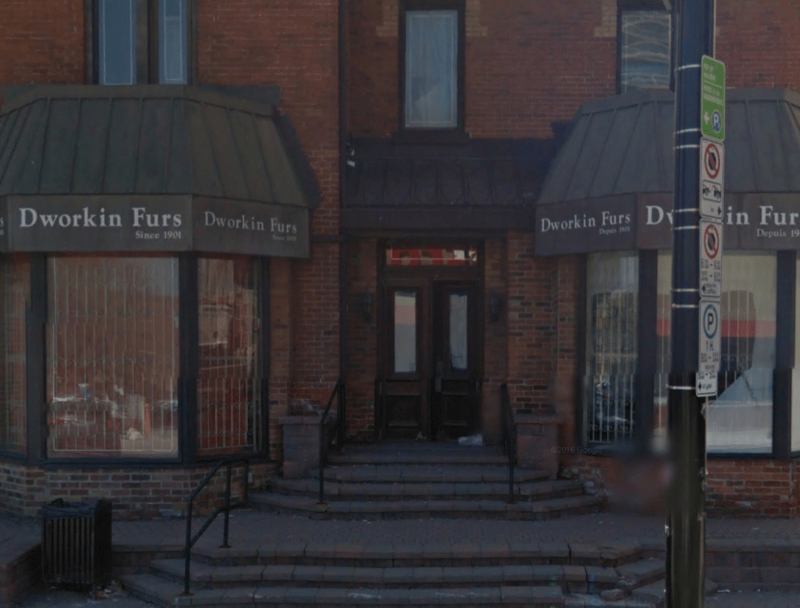 In 2012, Dworkin Furs announced that it would liquidate its stock and close up business after 111 years. Although sales of fur have continued to fluctuate on a global level, changes in how what was once a staple of the Canadian economy is understood means that it is unlikely that the long-established Rideau business would have ever seen the sorts of lines that it did in the 1950s. As it appeared prior to demolition in May 2014. Image: Google Maps. In spite of community opposition, demolition of the nearly 140 year old building was approved and the planned condominium was freed to go ahead. A subsequent softening and changing condominium market caused the developer to sell to lot to another and new plans were developed. 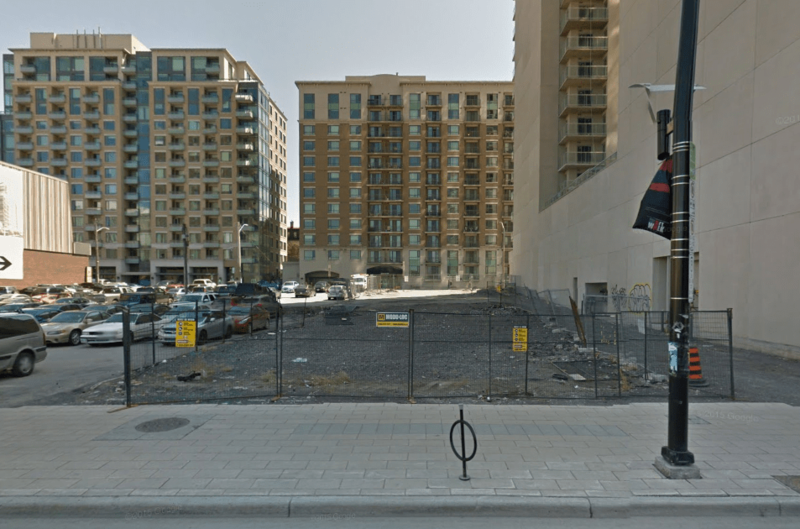 Rather than an owner-occupied condominium, a new proposal for 211 Besserer and 256 Rideau in the form a student residence with next to no parking was submitted. It goes without saying that the new proposal has also faced opposition. The lot in April 2015. Image: Google Maps. In spite of this, the site is currently occupied by a sales office for the Arthaus Condominium at Waller and Daly, the former site of Peter Dickinson’s Ottawa Police headquarters, which was demolished in the Spring of 1994.1Which was, in turn, more than 10 years after it was vacated. See Philip Fine. “Deadline nears for Wallis House,” Ottawa Citizen, February 22, 1994, p. B1. 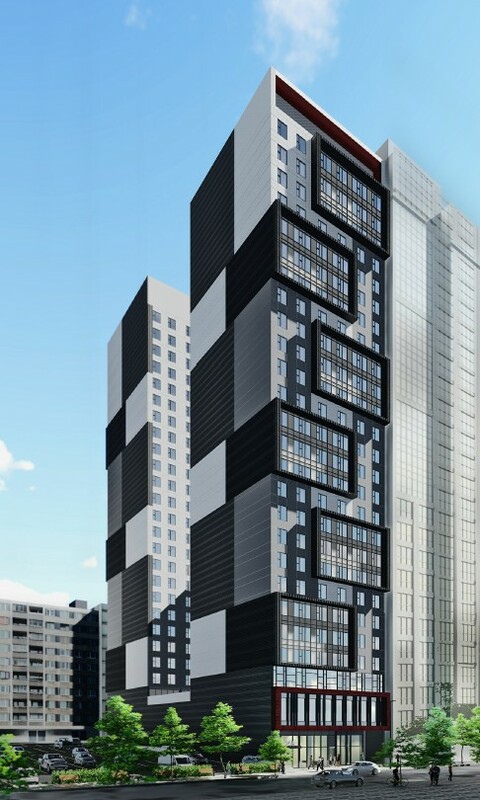 Textbook Residences’ proposed development for 211 Besserer & 256 Rideau. 1. ↥ Which was, in turn, more than 10 years after it was vacated. See Philip Fine. “Deadline nears for Wallis House,” Ottawa Citizen, February 22, 1994, p. B1.